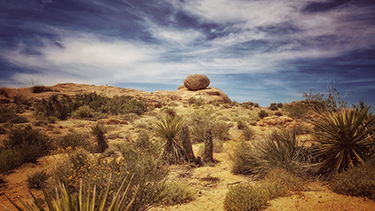 While visiting the Joshua Tree National Park, you can be certain that you will not run out of things to do. There are several art museums, including an outdoor desert museum with plenty of wood and metal sculptures to see. If you enjoy unusual or eclectic works, you will appreciate this museum in a natural outdoor setting. The famous crochet museum is small, but packs hundreds of crocheted stuffed animals. The museum has been taken on the road and has gone as far away as Paris. The Hi-Desert Nature Museum features displays and interactivity related to the surrounding desert environment. The Joshua Tree Art Gallery features modern art, photography, and artifacts from Native American tribes. It has something to offer everyone. For train enthusiasts and hobbyists, the Joshua Tree Southern Railroad museum offers 15″, 7.5″, and G scale tracks situated within the sagebrush and natural outdoor landscape. Hobbyists can bring their trains and have some fun. If you don’t want to bring your own trains, you can enjoy the steam engine collection housed in the railroad station. Along with museums and art, there are plenty of outdoor spaces for kids to run and explore. Essig park is geared toward smaller children. At Coyote Hole, children will have plenty of opportunity for rock climbing and exploration, under adult supervision. The community offers several places to eat, including an Asian restaurant, Pizza, traditional cafe, and a natural foods cafe. There is also a raw juice bar. If you plan on staying a while, there are plenty of group activities. Yoga classes and other forms of entertainment. Joshua Tree hosts several concerts throughout the year. It’s also home to a genuine drive in theater, where visitors can watch a double feature for around $5. To experience something new, you may want to consider visiting the test site of artist Andrea Zittel, where she tests design concepts and occasionally offers simplistically designed sleeping accommodations. RV camp sites are available throughout the park, and you can find a comprehensive list of Joshua Tree campgrounds here. Camp sites range from those designated for groups, to sites for bringing horses along. Some sites are more popular among families with children, particularly those situation among the many rock formations in the park. Although, it should be noted, that views of the night sky will be breath taking, no matter where your campground is located. If you’re staying at a site without water, you will need to bring plenty of your own, for bathing, cooking, and cleaning. Many sites provide fire rings for cooking, though you can also bring outdoor grills if desired. Other important supplies include sun screen and loose clothing, blankets and jackets to enjoy the cool desert evenings outdoors, flashlights and lanterns, and sturdy, comfortable shoes suited for climbing or dirt terrain. If you are looking for a Joshua Tree RV rental, call us today at (909) 451-3337 to start planning your trip today!